Representative Honours: Ireland: 1 Full Cap (1948); Eire: 4 Full Caps (1948-1949). Club Honours: (with Swansea Town) Football League Division Three (South) Champions 1948/49 (promoted); Welsh Cup Winner 1949/50, Runner-Up 1948/49. 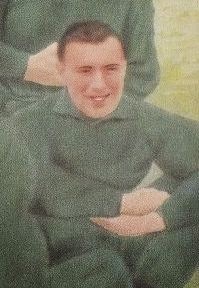 Rory Keane was with home-town club, Limerick when signed by Swansea Town in June 1947. The Swans had just been relegated to Division Three (South), and were seeking a new backline to help them regain their previous status. After a near-miss in 1948, they played to massive crowds through a run of 17 home wins as they claimed the title and reached the Welsh Cup Final. The 1948/49 season brought Keane his first major representative honours; he was capped by the Irish FA in a 3-2 Home Nations defeat by Scotland in November, and in a 1-0 defeat in Switzerland for Eire. By the end of that season Keane had four FAI caps, against Portugal, Sweden and Spain, and a Welsh Cup winner’s medal following a 4-1 win over Wrexham. 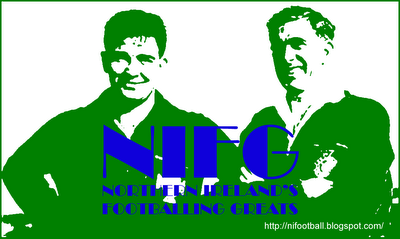 Capable at right or left-back, he vied for a place in both Irish teams with fellow Limerick-man, ‘Bud’ Aherne. A run of bad luck, including two broken legs, brought Keane’s international ambitions to a halt, though he stayed with Swansea through to the mid-1950s. Later he played with Llanelly and Haverfordwest before hanging up his boots for good following a third leg-break. Keane settled in south Wales, and his grandson, Jamie Harris followed him into the Swansea team.